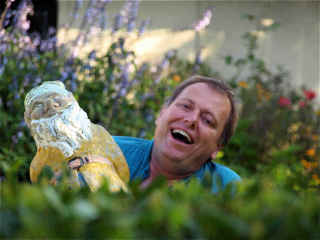 The first garden I truly admired was a gnomery I saw in the early 1960s. 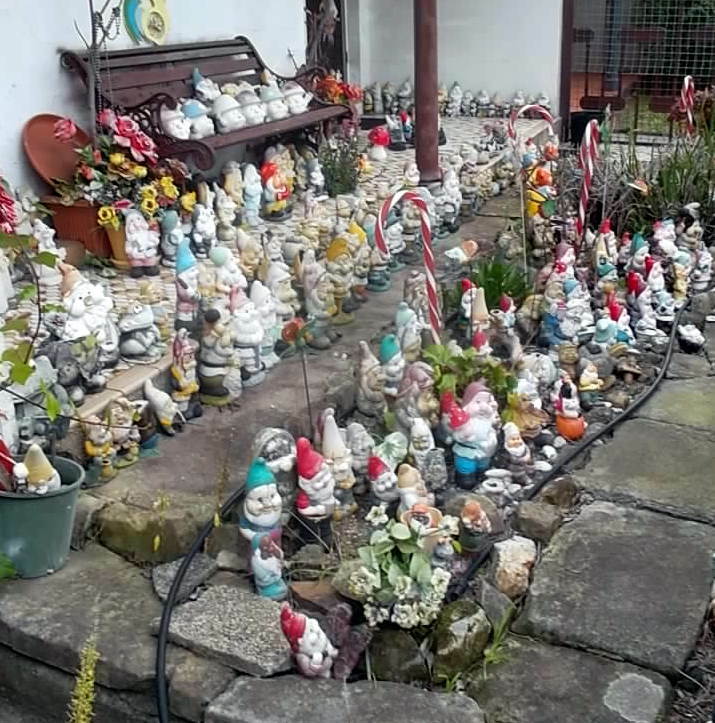 As a little boy I was awestruck by the hundreds, literately hundreds, of brightly coloured little figures looking at me behind one Welsh gnome-garden fence. Perhaps this early memory left me with a lasting affection for these fun-loving ornaments as I have since acquired several examples which populace parts of my house and garden. 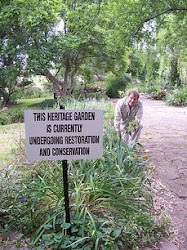 My interest led me to writing a brief history of the gnome for the Oxford Companion to Australian Gardens in 2002. There have been many, so called, jocular studies of these ornaments so I was pleased to discover a serious work by the respected English garden historian Twigs Way, titled Garden Gnomes: a History. As well as looking at the mythic origins of the gnome the author discusses the different manufacturers in Britain and around the world. One of the leading makers in the UK was Major Garden Ornaments, a firm founded by the parents of former 1980s British Prime Minister John Major, which was in operation from 1930 until 1962. These were the boom years of gnome sales, which reached its peak after the release of the 1937 Disney film Snow White and the Seven Dwarfs. By the late 1960s the gnome was perceived as vulgar and 'low-rent' and became a symbol of derision. 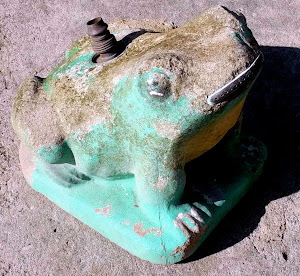 In recent years cement constructed figures have been partially replaced by cheaper plastic constructed versions, and there has been a nostalgic revival of appreciation for these fun, somewhat kitsch, ornaments. Despite this, the Royal Horticultural Society in Britain maintains a long-standing ban on the gnome being exhibited at the Chelsea Flower Show. Appropriately for the subject of Twig Way's book this work is diminutively sized. It is also well-illustrated and gives an excellent overview of the history of gnomes from their mythic origins in Germanic folklore through their early high-quality production years up to the time of mass-sales in the twentieth century. This book is a must have for all garden historians and for all those with a true interest in garden ornamentation.